I tried to capture these celeriac in all their glory, but they will just never be top pick for the produce basket on the cover of Better Homes and Gardens. Don’t shy away from these for their looks, though. 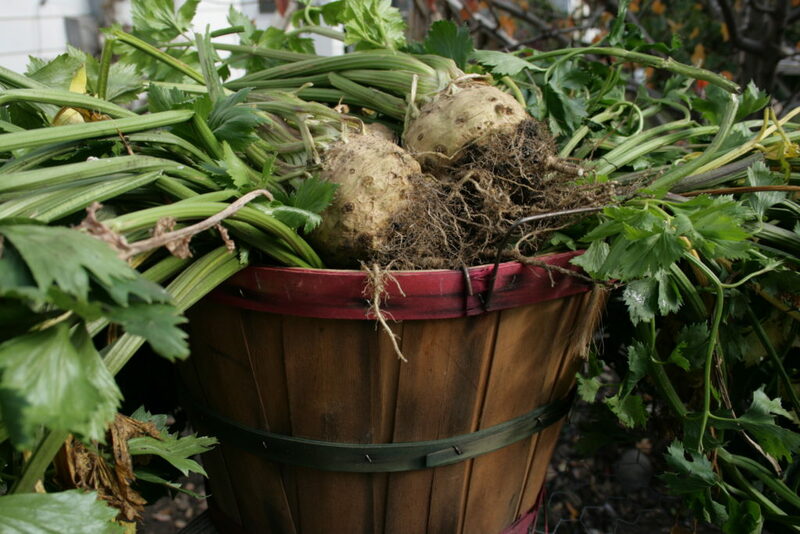 Celeriac is quick becoming a new favorite of mine for ease of growing and preparing, amazing flavor, plus the ability to store them (a big plus for MN winters!) Whether you have tried celeriac or not, this warm pot of goodness will be a delicious way for you to usher in that cold weather. Celeriac is related to the common celery, though I would argue that its creamy texture and sweet nuttiness make it even more delicious. 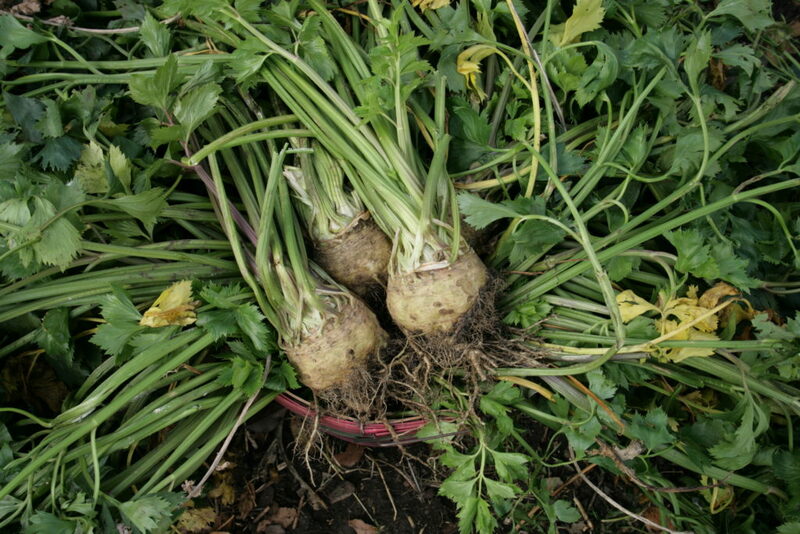 The root is peeled, then can be chopped for a wintery stew, oven bake, or simply roasted with olive oil and salt. 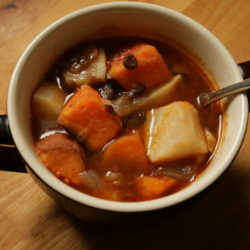 Sweet potatoes fill this stew out with their earthy sweetness, and a dash of spice keeps us all warm and cozy for a winter’s night. To turn up the heat you can use cayenne, or go all out by subbing the lentils for spicy andoulli sausage (so good). 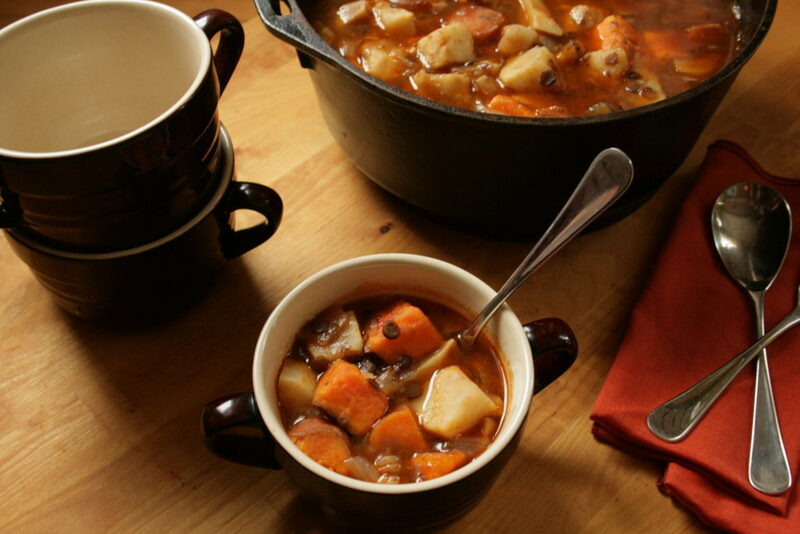 This versatile stew is sure to win you over to the celeriac fan crowd! 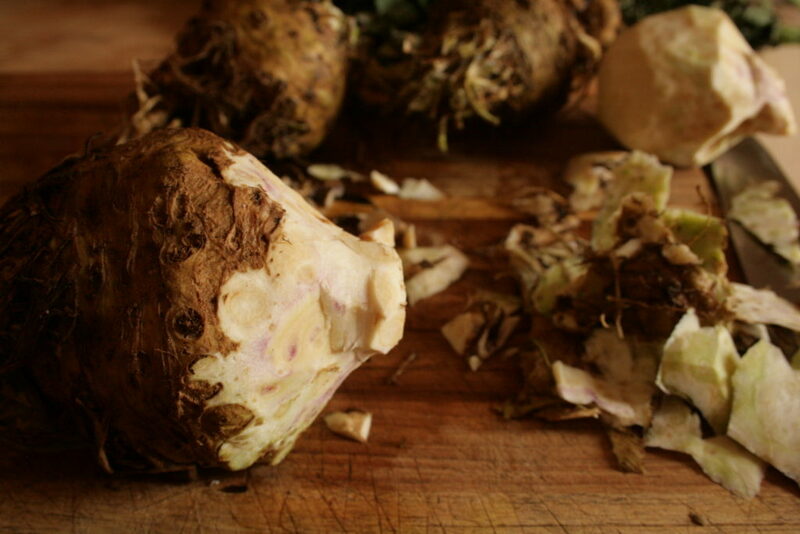 Peel celeriac. Cube celeriac and sweet potatoes into rough 1 inch cubes. Set aside. Dice onions and slice garlic. Fry them in olive oil in the soup pot until translucent. Add the broth to the pot, plus the uncooked lentils and all the spices. If using canned or already cooked lentils, add them in at the end instead of with the broth. Bring the broth to a boil, then turn to a steady simmer. Add the sweet potatoes and celeriac. Simmer everything until just tender.